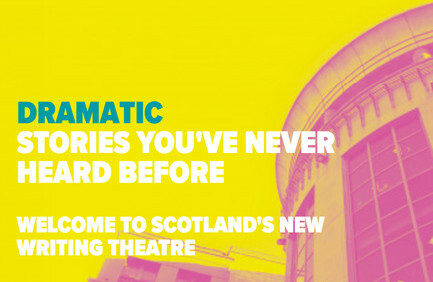 Matching the theatres’ new brand (by the fine folk at Cafeteria), the website is designed and built to be easy-to-use, both for website visitors and for the Sheffield Theatres team. With ticket sales a primary focus, bookers have a great user journey right from the off. And to help people distinguish between ‘on-stage’ and ‘participatory’ events (such as workshops and behind-the-scenes tours), we have Things To See and Things To Do. 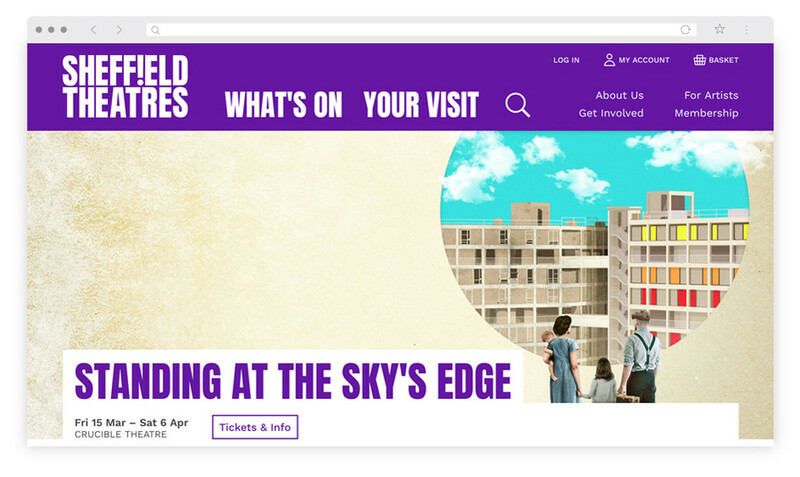 On show pages themselves, Sheffield Theatres’ productions are given extra ‘oomph’. 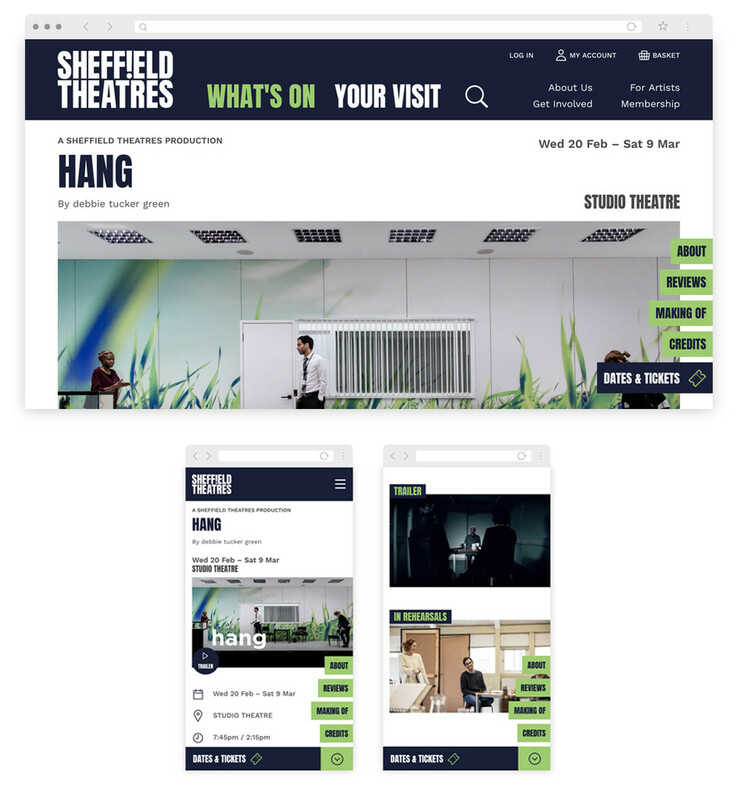 The ability to choose a pair of bespoke colours means that each Sheffield Theatres production page on the website matches printed promotional material. And the ‘Making Of’ section – which houses images, videos, interviews, news articles – gives the team space to highlight all the exciting behind-the-scenes work that goes into creating bold, brilliant, world-class theatre. 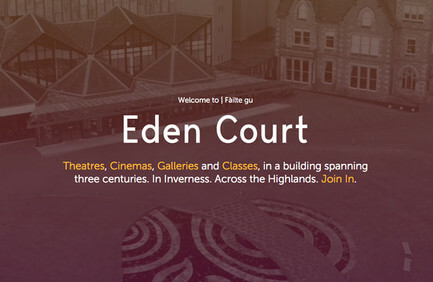 "We’ve had a great time creating this new website with Supercool. Kate, Katie and James have immersed themselves in our brand and helped us to focus on providing the best possible customer experience of the enormous range of shows that we make and stage here in Sheffield. We love the nifty search options making it much easier to look for things to see and things to do, and the fact that accessible shows can be filtered at the click of a button. We’re really looking forward to continuing to develop the site with the team at Supercool - we’ve got exciting plans and we know we’re working with partners who can help us realise our ambitions for the site." Thanks Claire – and go, team! … we’ve got exciting plans and we know we’re working with partners who can help us realise our ambitions for the site.